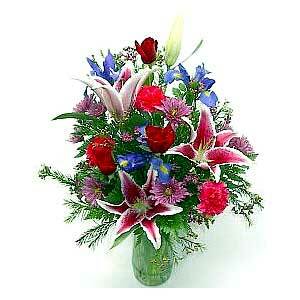 A beautiful assortment of jewel-toned pink, purple, and red blooms, featuring Star Gazer lilies, iris, and red roses. Approx. 28"H x 23"W.